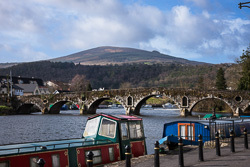 County Kilkenny is named after Kilkenny town (in Irish Cill Chainnigh, meaning 'Church of Cainnech', or St Canice's Church) is one of the midland counties of Ireland. 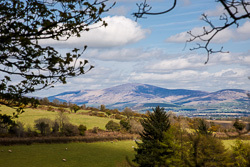 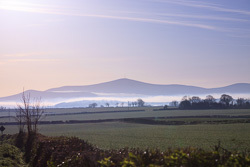 Compared to other midland counties such as Carlow to the east and Tipperary to the west, it is quite a flat county ... which makes it a bit more difficult for the photographer. 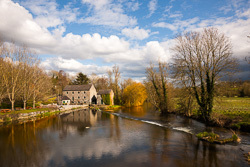 There are some pretty rivers that run through it: the Nore, the Suir and the Barrow (called the Three Sisters) and there is a lovely walk along the river Barrow from Graignamanagh to St Mullin's (the Barrow forms the boundary between Kilkenny and Carlow). 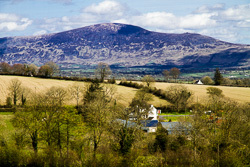 Kilkenny is a very historic county with important sites such as Kells Priory and Duiske Abbey in Graignamanagh. 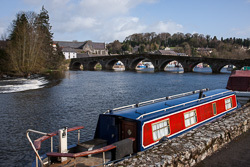 Kilkenny city itself has many historic buildings such as Kilkenny Castle and St Canice's Cathedral (the saint from whom Kilkenny is named).